The beginning of a fresh new year seems like the perfect time for a brand new band to release their debut album. But Strange Hotels new six track EP, Mixtapes, defies what you’d expect from a new band- it has the polish and shine that usually comes from more experienced bands. That’s because the duo, consisting of multi-instrumentalists Ben Braden and Nick Sadler, has been playing together for years as part of one of Portland’s iconic touring bands, The Lower 48. 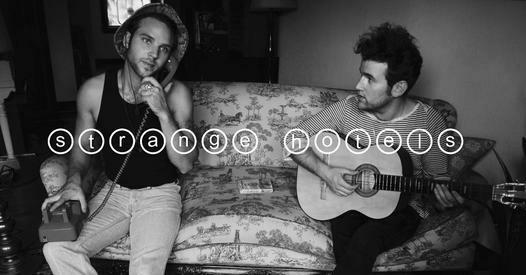 Their new project, Strange Hotels, is a departure from the harmony-driven rock of the Lower 48. Strange Hotels style is hard to pin down, spanning from disco to world beats, with a consistent danceability that inspires booty shaking, dancing, and smiles. 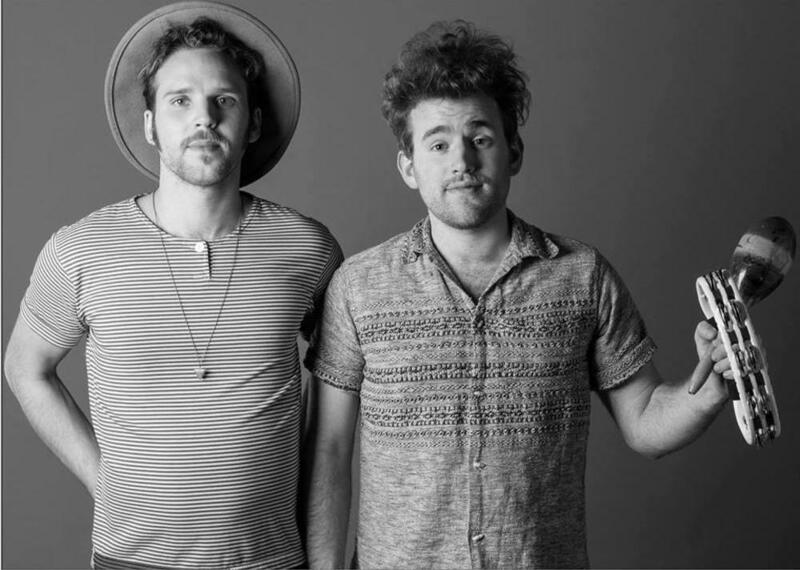 Their diverse influences include Prince, The Strokes, LCD Soundsystem, St Vincent, and Sylvan Esso, but I also hear a touch of Michael Jackson and Hall & Oates. Listening to these recordings makes me wonder how they are going to pull this off with two people in a live setting. Ben explained that they are going to experiment, playing a lot of regional shows in the next few months. Nick will play drums and synth pads and sing, and Ben will play the guitar and sing, using a pedal to play bass notes with his feet. Whatever they do, it’s sure to be worthwhile because after years of touring they have a good idea of how to entertain an audience. Check out their debut album on Bandcamp and stay tuned for upcoming events.